BarkBox was very creative on social media in 2016, with a particular focus on YouTube and Instagram. From their “Congratulations! You’re a dog person,” campaign to their influencer marketing efforts, they’ve really set themselves apart by being entertaining and appealing directly to their target audience. First and foremost, BarkBox’s content reaches a particularly passionate group of people—dog owners. Anyone who owns a dog immediately resonates with BarkBox’s videos and photos. 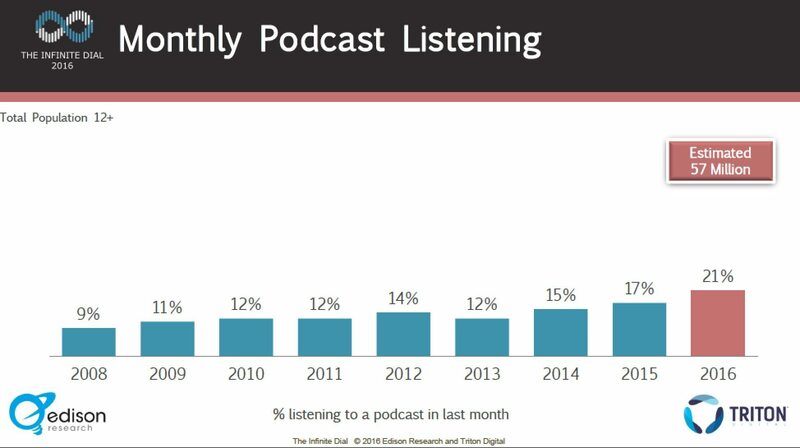 Since it’s so relatable, people feel like the content speaks directly to them. BarkBox is also an example of recognizing which social media platforms are best for your brand. Since Instagram and YouTube are both filled with photos and videos of dogs, it makes sense that BarkBox chose those two social platforms for their content. Pay attention to who your audience is and which social networks they use. Then build your strategy around that. 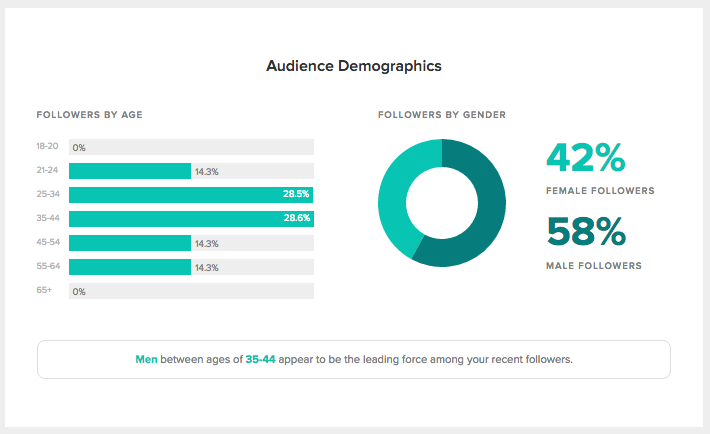 If you already have a following, use Sprout’s Group Report to learn more about your audience demographics. We may be saying R.I.P. to Vine in 2017, but that doesn’t take away from the creative social media marketing campaigns we saw from brands in 2016. Lowe’s has always stood out on Vine, and brought us some of the best content of the year. The #LowesFixInSix clips were particularly noteworthy. For this campaign, Lowe’s put together a series of six-second stop-animation Vines that showed some DIY home improvement tips. The loops gained millions of views and earned Lowe’s plenty of media coverage. Aside from social video marketing being extremely popular, Lowe’s saw success with Vine for a few reasons. For one, the Vines were helpful. When you can create and share content that’s valuable to your audience, you’ve already won half the battle. On top of that, the clips are extremely entertaining. The stop-motion style and use of claymation makes them immediately grab your attention, and entice you to share. Add on the fact that they’re only six seconds long, and you have a recipe for success. Another lesson you can learn from this social media marketing example is to not be afraid to use different networks. Even at its height, there weren’t a lot of brands on Vine, yet Lowe’s saw the potential and capitalized on it. If a network looks promising and you think you can provide value on it, don’t be afraid to give it a shot. It’d be easy for a company the size of Taco Bell to sit back and coast through social media. However, the company continues to innovate and prove why its one of the best brands on social. The 2016 blind pre-order campaign is an example of how Taco Bell sets itself apart. The concept was simple. Customers could order a new unannounced menu item from 2-4 p.m on February 6th. The campaign coincided with the company’s Super Bowl ad, which is when Taco Bell finally revealed the new Quesalupa mystery item. This campaign was the perfect example of taking a multi-channel approach. 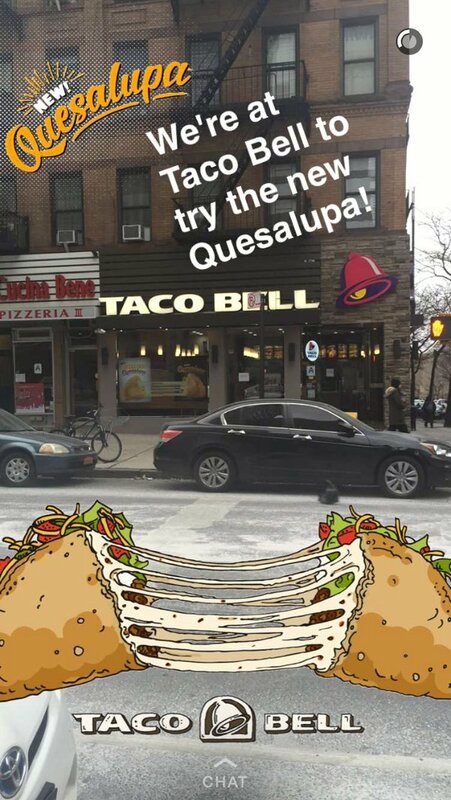 Taco Bell combined Snapchat, Twitter and television in a single strategy to reach more people and appeal to different audiences. Instead of looking at your social media profiles as separate entities, think of ways you can use them all together. In April 2016, Burberry became the first luxury brand to run a Snapchat Discover channel native ad. The company used the opportunity to promote its new men’s scent Mr. Burberry. The campaign came at an interesting time for marketers because most brands were still skeptical of Snapchat content’s short lifespan. But as Burberry showed, Snapchat provides a different type of experience that’s just as valuable as any other content. When you’re the first major company to do something, it naturally garners attention. There are plenty of luxury brands on Snapchat, but by being the first to run its own Discover channel ad, Burberry made a name for itself on social. Snapchat and Instagram Stories have proven there’s added value for content that doesn’t necessarily live forever. In fact, it gives people motivation to consume the content due to fear of missing out. When a new social network or a feature in an existing one starts to become popular, be an early adopter. Even if you’re not the first brand on the network, there’s still value in being the first in your industry. We’re seeing this happen right now with Instagram Stories. It’s still new and a lot of brands are still hesitant to try it out. Break the ice and get active now instead of waiting. BuzzFeed is no stranger to being acknowledged for its social media marketing chops. But 2016 sparked a new craze with its short video recipes hosted on BuzzFeed Tasty. The clips take a new approach to an already popular concept. Recipe videos have been huge on YouTube for years, but BuzzFeed figured how to successfully translate those videos into bite sized pieces that are more usable on other platforms. Buzzfeed cut out the talking, prep work and other pieces commonly used in recipe videos and just included the critical parts of the videos. These video clips take something that’s typically seen as difficult and intimidating like cooking, and make it look easy. Even if they’re the same exact recipe, seeing it done in 30 seconds seems a lot more doable than a 10-minute video. It’s all about perception. Also, the videos are valuable and get straight to the point. Give people what they want in a way that’s easy for them to digest, and you’ll see more success on social media. Social media can be used for much more than increasing sales and branding. One of the best social media marketing examples of 2016 was all about raising money for a great cause. The Make-A-Wish Foundation partnered with Disney for the #ShareYourEars campaign. Aside from being launched for a great cause, this campaign also benefited from tons of user generated content (UGC). Every time someone shared their photo with the iconic mouse ears, the hashtag reached an even wider audience. The lesson you can take from #ShareYourEars and similar campaigns is to activate your audience through UGC. It shows you appreciate them and allows them to feel like a part of your brand. Have you ever seen a piece of content or campaign on social media that made you think “I wish I would’ve thought of that!” Well, that’s exactly what went through most marketers’ minds when they took at look at the Reynolds Instagram page in 2016. The company turned its Instagram feed into an endless table. To pull off the visually striking campaign, Reynolds took photos of eight tables filled with food and strung them together to create one endless table, with recipes organized by season. Reynolds is the perfect example of using social media even if you’re not selling the most exciting products in the world. People aren’t rushing to Instagram to find out about aluminum foil, but Reynolds showed that a little creativity can go a long way. In addition to creating the visual, Reynolds also reached out to food bloggers, popular chefs and Instagram foodies to have them come up with recipes for each table. If you’re in an industry that isn’t as thrilling as fashion, art and entertainment, think outside the box. Do something that stands out, while still being relevant to your brand and industry. TOMS is the perfect example of integrating your brand’s values into your social media marketing strategy. Rather than go the route of a giveaway, TOMS put a twist on its one-for-one shoe pledge. The company offered to donate a pair of shoes to a child in need for everyone who posted a barefoot Instagram photo with the hashtag #withoutshoes. The hashtag generated hundreds of thousands of Instagram posts and went viral. The interesting thing about this campaign is the entrants didn’t receive a tangible prize for participating. TOMS relied on their followers’ commitment to their brand values to spread #withoutshoes. The lesson you can take from TOMS is you don’t just want to get followers. You want followers who believe in your brand and what your company stands for. Your brand values don’t have to be as philanthropic as TOMS, but it should be something people can associate with. For instance, Nike is all about performing at your peak performance. Whole Foods supports sustainability and natural products. By making these values known, both companies attract followers and customers that align with them. The end result is an engaged audience that helps promote their initiatives. 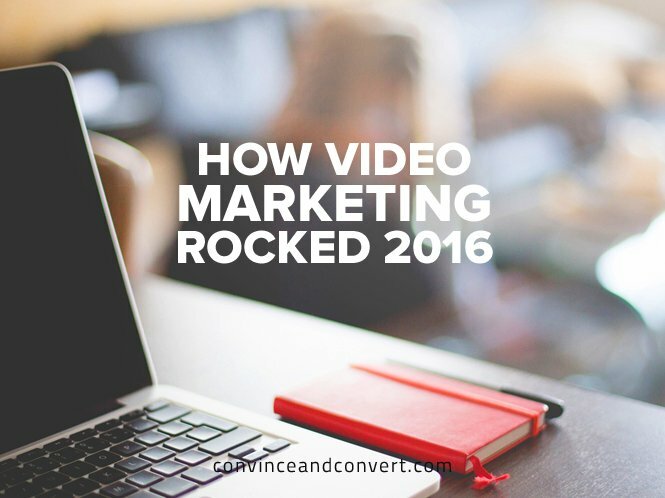 Video marketing was wildly successful in 2016, and it’ll continue on in 2017. If you’re looking for a social media marketing example of a brand that successfully used video, look no further than the#LoveAtFirstTatste campaign from Knorr. Knorr’s fun and entertaining campaign featured matchmaking based on food taste instead of looks and personality. The video above went viral with 7 million views in a single day, and over 60 million throughout 2016. The power of video is undeniable. But on top of that, the Knorr campaign had an emotional connection by touching on the topic of love. If you’re going to start creating videos for your brand, think of what emotion you want viewers to feel. Whether it’s humor, anger or in Knorr’s case, love, appealing to specific emotions will make your content memorable. We’re not featuring any specific campaign from GoPro. The reason GoPro is on the list is because they’re arguably one of the top non-celebrity brands on Instagram. The GoPro page has over 10 million followers, gets hundreds of thousands of engagements on every post and shares some of the most exciting content you’ll find on Instagram. The reason GoPro is killing it on Instagram is largely due to the content they share. You could spend hours scrolling through all the pictures and videos on the account. GoPro also does an excellent job sharing UGC. 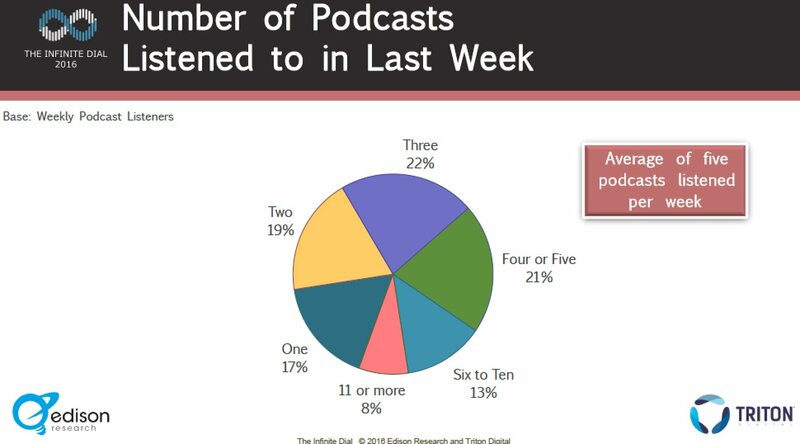 A lot of the content they share is from customers using their products. This is a cool and subtle way of promoting how great their products are without being overly-promotional. Try uploading content with people using your products. It’s much more compelling than generic photos that essentially look like ads. Sometimes you just have to let your product speak for itself. Keep in mind that ideas are only part of the equation. You also need to monitor what’s working and what’s not. Use Sprout’s social media analytics tools to get insight into your top performing social content, audience demographics and other data that’ll help you achieve even more success in 2017. What were some of your favorite social media marketing examples of 2016? Leave a comment below and let us know. 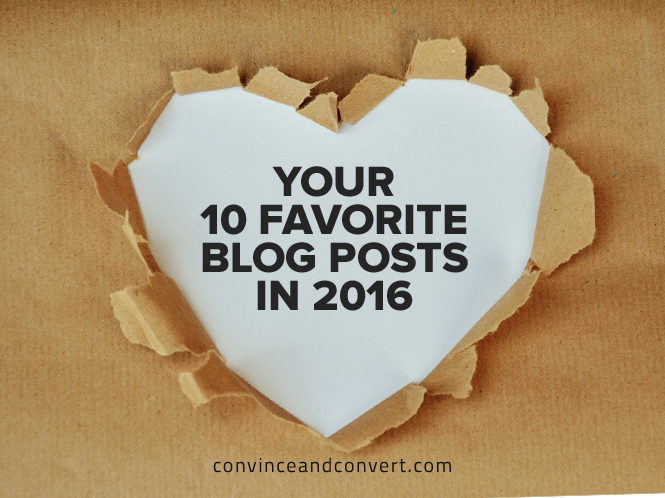 This post 10 Standout Social Media Marketing Examples From 2016 originally appeared on Sprout Social. Welcome to the annual V&A Collection search trends report for 2016, providing newspaper columnists and social media pundits the opportunity to fill the Christmas period with questionable data interpretation and spurious trend spotting. Deep interpretation of the results is left to the reader. Many of the searches are of course for topics and collections the V&A is renowned for (including the great man himself in the top spot). But there are some curiosities in the list; for example Thomas Rowlandson tip-toeing ahead of shoes (but just behind a corset), possibly prompted by our colleagues at the Royal Collection’s exhibition earlier in the year? 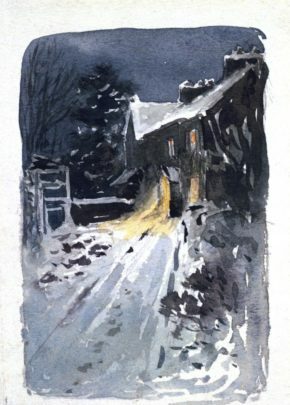 ; the sesquicentenary celebrations marking the work of Beatrix Potter, who would have not likely been seen in a mantua dress; and the continued appeal of designers and artists from Constable to Chanel (other letters of the alphabet are also available). Did you set the right marketing goals for 2016? And are you using the right tools to achieve those goals? The fact of the matter is, if you didn’t include a video marketing strategy as part of your broader content marketing plan, you’re missing out. 71 percent of marketers say that video conversion rates consistently outperform other marketing content. 52 percent of marketing professionals name video as the type of content with the best ROI. 76 percent of marketers plan to use video to boost their brand awareness campaigns. 96 percent of B2B companies are planning to use video in their content marketing over the next year. Did you know that consumer internet video traffic will go from 64 percent in 2014 to over 80 percent by 2019? That’s not very far away. So what about marketing? Well, the world of marketing continues to evolve and change at breakneck speed, leaving marketers racing to keep up with what’s new and what’s actually working and what’s becoming less effective. Enter marketing books. This year has yielded a bumper crop of great books that are helping marketers masterfully navigate what must seem like uncharted waters. As the host of The Marketing Book Podcast, each week I publish an interview with the author of a bestselling marketing or sales book. And yes, I read every book featured on the podcast (which, sadly, has caused my Scotch drinking to plummet). This month the podcast celebrated its 100th episode in grand fashion with Dr. Philip Kotler, “The Father of Modern Marketing” talking about his new book "Marketing 4.0: From Traditional to Digital." So I offer this list of the top 15 marketing books of 2016. 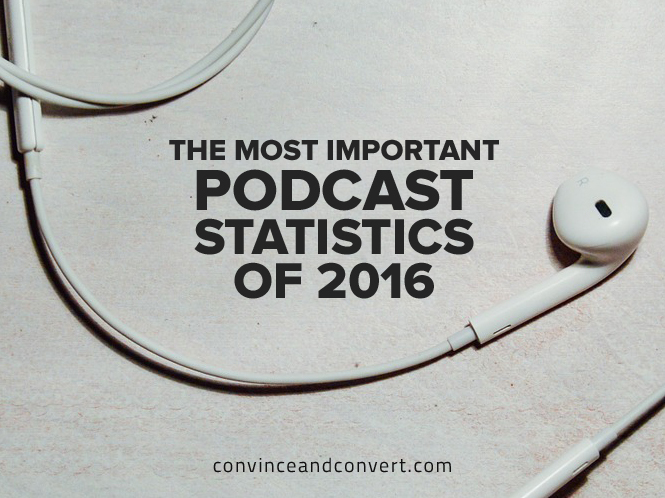 This list includes books that were published in 2016 and which were featured on The Marketing Book Podcast. Were there other great marketing books? Undoubtedly so, but these books I’ve read and recommend. Please share your book recommendations in the comments section below. Philip Kotler is the author of over 55 marketing books and is widely regarded as the Father of Modern Marketing. He has been on the faculty of Northwestern University’s Kellogg School of Management since 1962. Malcolm McDonald, the author of 46 books, enjoys a global reputation as a leading authority on marketing, particularly marketing planning. Scott Brinker is the editor of the Chief Marketing Technologist blog, and may be best known for his marketing technology landscape supergraphic (which currently shows the logos of over 3,500 marketing technology companies). The co-authors are the Chief Marketing Officer and the VP of Enterprise Sales at InsideView, a software as a service company that has profitably aligned its sales and marketing efforts. Known as the “Innovation Evangelist” Nicholas Webb is the author of several books and has been awarded over 45 patents by the US Patent and Trademark Office. He is a Senior Partner at Cravve, a customer experience consulting firm. In this hyperconnected, hypercompetitive business world everyone has a megaphone, and if the experience your customers have is a bad one, they will not return. And, they’ll tell the world on social media and review sites how awful you are. But, if your customers have a great experience and you delight them, not only will that be surprising, they will remain loyal customers and tell others. Nick Westergaard is the Chief Brand Strategist at Brand Driven Digital, where he helps build better brands at organizations of all sizes — from small businesses to Fortune 500 companies. John Jantsch is a marketing consultant, speaker and bestselling author of four other books including "Duct Tape Marketing." Phil Singleton is a self-described “SEO grunt” who is the founder of a marketing agency whose services include search engine optimization. I never would have thought I’d get so fired up by a book about search engine optimization, but “SEO for Growth” did it. Here’s why – SEO has changed a lot recently and there are a lot of lingering misperceptions about what you need to do to get your company to show up on the first page of a search engine. Plus there is a staggering amount of money being paid to many SEO firms and experts that is wasted. In fact, a lot of that work being done is actually causing harm to their clients. In 2009 Scott and Alison Stratten wrote the bestseller “UnMarketing: Stop Marketing, Start Engaging.” In that book, they explained that the landscape of business-customer relationships was changing, and it offered up innovative alternatives to the old “push and pray” approach. The book showed how to unlearn the old way of interruptive, irritating marketing and attract the right customers and build trust through listening and engagement. Dr. Robert Cialdini is best known for his 1984 book on persuasion and marketing, "Influence: The Psychology of Persuasion." The book has sold over three million copies and has been translated into 31 languages. Martin Lindstrom is one of the world’s premier brand building experts, a New York Times and Wall St Journal best-selling author of five other groundbreaking books, and was recognized by Time Magazine as one of the top 100 Most Influential People in the World. At the beginning of the book, Jonah Berger makes a joke about the fact that most people don’t think they are influenced by others but by themselves. He states, “Sure, other people might follow the herd, but not me.” That’s what I thought. Roland Smart serves as the VP of Social and Community Marketing at Oracle. In “Chief Marketing Officers at Work,” we have a very revealing look at what chief marketing officers are spending their time on and thinking about. You’ll be surprised. The book contains 29 in-depth interviews with chief marketing officers from companies like, GE, Harvard Business School, The Home Depot, Nestle´ and Target. These Top 15 marketing books are just a part of what you need to be succeed in Modern Marketing. Click below to subscribe to weekly highlights from the blog to keep up with the latest marketing trends and best practices.